Why do we need Botox? How are treatments with Botox? Home » Why do we need Botox? Honey, you know me, I don’t really believe in marriage; now Botox on the other hand, that works every time. That is why we have decided to unveil the 3 most popular myths about Botox, tell a couple of interesting facts, and answer the main question – why do we need Botox, and whether it is necessary for you personally? Essentially, Botox is a purified natural protein. It is capable of relaxing the muscles and blocking the transmission of nerve impulses. What problems are solved by Botox? Work of sweat glands is normalized for 6-12 months. The course of Botox treatment? The procedure takes only 10, 20, or a maximum of 30 minutes. Botox is carefully injected in the problem area. This area is first lubricated with analgesic cream. 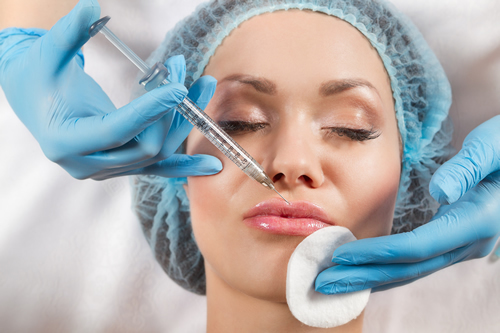 If you are preparing for some important event, it is better to get Botox in advance, as it becomes effective after 2-3 days, while the maximum effect occurs after 2 weeks. Botox was initially used as a medicine. Including for children. This product is officially permitted in all countries and approved by the Ministry of Health of the Russian Federation. Furthermore, in cosmetology it is applied in very small doses, and is completely excreted from the body a few days after the procedure! Botox only causes the muscles to relax and blocks their activity for a certain time (6-12 months). That is, it ceases their traction, due to which wrinkles appear. Incidentally, it makes you not to wrinkle forehead and furrow your brow — the main reason for the appearance of facial wrinkles. In this case, there is no question about any muscle atrophy, which is proved by numerous studies! Indeed, there have been various examples of unsuccessful Botox application. But it is not due to Botox, but due to the insufficient qualification of doctor who miscalculated the amount of product… or used fake product instead of certified Botox. Choose the right cosmetic clinic to get Botox, and you will be fine. Where to get Botox in Moscow to be 100% confident in result? At the LIPS beauty clinic in central Moscow! Botox in the hands of an experienced master is a miracle product that preserves the youth of thousands men and women of the 21st century! It also relieves people with excessive sweating of their problem. Do not be afraid; do not believe the myths and prejudices; but in no case be stingy when ordering procedures involving Botox! Choose a reliable clinic and professional cosmetologists! Sign up by calling 8 800 700-72-87 or leave an application.